The sudden expropriation of Argentina’s YPF’s oil firm has stirred alarm across Spain, the EU and international business. But the galloping radicalization of economic policy led by a group of young officials in Buenos Aires is grounded in lessons drawn from the global crisis and the errors of European austerity. The results are uncertain, but the reasons are resounding. Fifteen minutes was the time allotted for company executives to pack their bags and leave. By the next morning, their email accounts and mobile phones had been eliminated. Whatever else is said in the world’s financial press over Argentina’s supposedly colossal error in expropriating 51 percent of the national oil company YPF, all of it from the hands of the Spanish owner Repsol, there is no doubt that the seizure was conducted in the most ruthlessly efficient way conceivable. It was a hit and a heist, staged for the public and the world. From that moment on Monday, retaliatory threats have rained down from Spain and Europe, while the war of production statistics in Buenos Aires has got underway. On one question, there is no doubt: YPF, which represents close to half of the country’s oil and gas production, has been in sharp decline since 2004. Last year, crude oil production slipped 5.9 percent and natural gas 3.4 percent, at the same time as Argentina, following its relentless curve of economic growth, reached a new historic height of electricity consumption in mid-February. This missing energy was substituted by gas and oil imports, whose net value in 2011 soared to three billion dollars, and were set to rise to 7.5 billion this year. For a country that has effectively severed itself from international financial markets since default in 2001, and which shows no desire to return to the discipline meted out by sovereign bond investors, this money represents a huge and unsustainable capital drain. It is at this point that the friends and antagonists of the Argentine economic ‘model’ proffer rival interpretations as to what is to blame for this financial pinch, and what exactly went wrong within Repsol-YPF. This ‘debate’, a misnomer for an argument in which two sides systematically ignore one another, pits a call for a cooling of Argentine state spending and interventionism – public expenditure rose to 40 percent of GDP last year, twice the levels of the 1990s - against an insistence on the need for a stronger public stake in the economy. Importantly, it is a division that separates the government of President Cristina Fernández de Kirchner from a largely extinct opposition, as well as factions of the state from one another. The president won re-election in October with 54 percent of the vote, the biggest winning margin of any candidate since the return to democracy in 1983. Since then, the competing lineages of her Peronist government have each had their day in the sun: first came the call for a winding down of state largesse and for caps on wage rises; at the same time, the government clamped down on dollar purchases and, at the start of this year, imposed stringent import controls. But since March, a new dominant theme in economic policy has emerged, culminating this week in the expropriation of YPF. In understanding the actions of the Argentine government, and in working out whether this annexation in Buenos Aires presages a fresh wave of economic nationalism in Latin America and elsewhere, it is perhaps wise to consider how the strategy of state ownership has made such astonishing headway. Demotix/Hugo Passarello Luna. 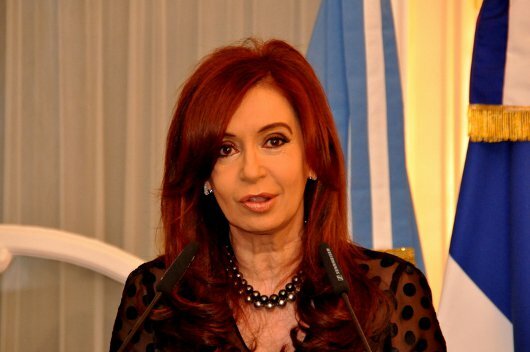 Argentina's President, Cristina Fernández de Kirchner. All rights reserved. Axel Kicillof, the 41-year-old casual-dressing scholar of Marxist and Keynesian economic theory, has become the emblem of this process. Although his formal post is deputy to a relatively moderate and liberal economy minister, his real significance is underlined by the extraordinary multiplication in his roles and appearances since February, culminating this week in his appointment to the new interim management of YPF and his starring part in justifying the expropriation before the Argentine Senate. Days later, Kicillof paid a visit to the television programme that stands at the forefront of the Argentine government’s political and ideological recovery since the disasters of mid-2008, when its proposal to hike duties for soya exports was defeated amid mass public protests. 6-7-8 is broadcast on state television, often follows a major football match (exclusive rights to broadcast these matches were handed to the state channel by a 2009 media law), and specializes in withering attacks on the output of the private “opposition” media, combined with softball interviews with the more appealing government officials. It is these binary opposites of liberal orthodoxy versus Keynesian heterodoxy, corporations versus people, and private versus public, that are now being reiterated to such powerful effect against a background televisual loop of Spanish and Greek soup kitchens and street protests. “Either the economy is regulated by the state in favour of the people, or it is regulated by corporations and the market against the people,” declares Martín Sabbatella, a popular congressman who leads the left-wing Nuevo Encuentro (New Meeting) party, which is part of the president’s coalition in Congress, in an interview a few weeks before the YPF nationalization. Sabbatella, Kicillof and others, such as Central Bank president Mercedes Marcó del Pont, may once have been regarded as occupying the radical economic extreme of the government. But their ability to provide a coherent account of how Argentina must distinguish itself from what they see as the failed speculative and ultra-liberal experiment in western Europe has given them a central role in the construction of a popular nationalist ideology – particularly now the claim to the Falklands has lost some of its impetus. Indeed, Marcó del Pont can perhaps be seen as the precursor of the process. Although there was much less foreign attention for the deed, the reform she sponsored in the Central Bank, which was approved last month, tears up the rule book governing monetary supply for the past 20 years by severing the link between pesos in circulation and Argentina’s reserves in other currencies. “It’s totally false to say that issuing [money] generates inflation. Price rises are rooted in supply and the foreign sector,” she declared in an interview with the pro-government newspaper Página 12. Her supporters defend her argument by pointing to the limited inflationary impact of quantitative easing in Europe and the US. All extra foreign reserves in the Bank, it should be noted, can now be skimmed off by the government for public spending. In short, arguments for free use of foreign reserves, nationalization of the commanding heights of the economy, or a deepening of import controls – the three most important initiatives of this year in Argentina, which together combine to make the country the most economically heterodox in the G-20 – have made unremitting references to the plight of Europe and the harm of austerity. Although the policies could not be more different from those pursued by President Carlos Menem in the 1990s, the urge to align with an ideology that seems best to describe the trajectory of the world economy remains the same. However, apart from that shared feature, the two Peronist presidents stand poles apart – and not just on economic policy. Whereas Menem sought to sidestep or forget the historical legacy of the military dictatorship, first Néstor Kirchner, and now his widow, have made vast symbolic capital out of their efforts to bring redress for the victims of the 1970s repression. While it may be possible to carp over their true intentions, they have not let up, and the major guilty parties in the atrocities of the junta have returned to courts and to imprisonment. One manifestation of this historical atonement has assumed particular significance: the rise of the Cámpora. Quite how to describe this movement to a non-Argentine audience can be a challenge. It is an agglomeration of pro-government militants that is overseen by the president’s son, Máximo, and supplies young technocrats with radical impulses to state offices and businesses. Its justification, however, is that of a total generational and ideological renewal of the state. Many of these radicals, though not all, come from poor backgrounds, or were swept up in the protests that preceded the default of 2001, or are children of the disappeared. 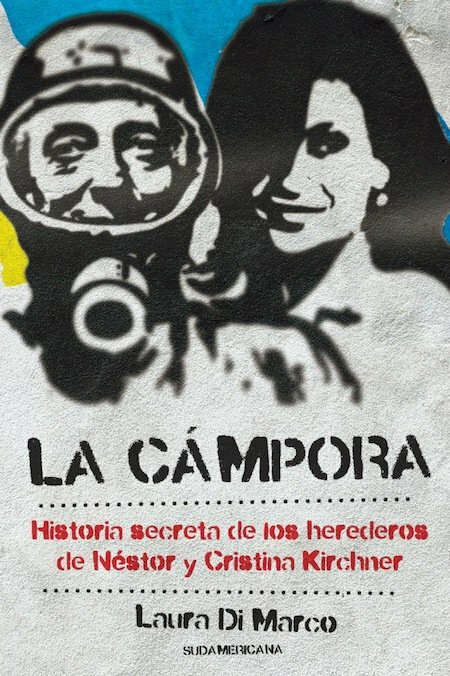 Kicilloff is a Cámpora stalwart, and has become their most noted economist. Two sources of potent symbolism have come together in the government’s rhetoric, and are at stake in the move on YPF: economics for the people, and the reinvention of a public-interest state. Political and economic reality in Argentina, however is a good deal more brutish than this refined discourse. A host of criticisms of the government’s action and intentions can be made. Increased oil and gas production will prove extremely difficult without major fresh investment. Foreign companies, especially, those running utilities privatized in the 1990s (including Spain’s Telefónica), are shuddering, and future investors will be tremulous. The state’s search for extra cash, meanwhile, goes on apace, and risks sparking an inflationary surge. Wasteful subsidies continue in place. Infrastructure, above all that of public transport, is in a deplorable state. Neighbouring countries, the EU and the United States are all aghast at the controls over imports, which are already causing shortages of certain goods. The Cámpora for its part cannot yet claim any great achievements. At Aerolineas, the deficit for 2011, papered over by government funds, is estimated at 700 million dollars: it is never easy to run a company with seven strong unions that left-wing bureaucrats prefer not to offend. For the moment, the Cámpora’s ubiquitous presence is associated with a hermetic culture, extreme obedience of its members, and the creation of numerous jobs for loyalists. In these respects, it is little different from every other Argentine patronage system. All of these criticisms are at least partly true. But in stating and repeating them, it is often forgotten how and why such arguably counter-productive policy decisions are embraced by government. A cursory glance at Europe suggests that the old economic dogma neither foresaw financial crisis, not are its proponents equipped to deal with its consequences. Rightly or wrongly, Argentina is drawing its own conclusions from the west’s unrepentant disrepute.